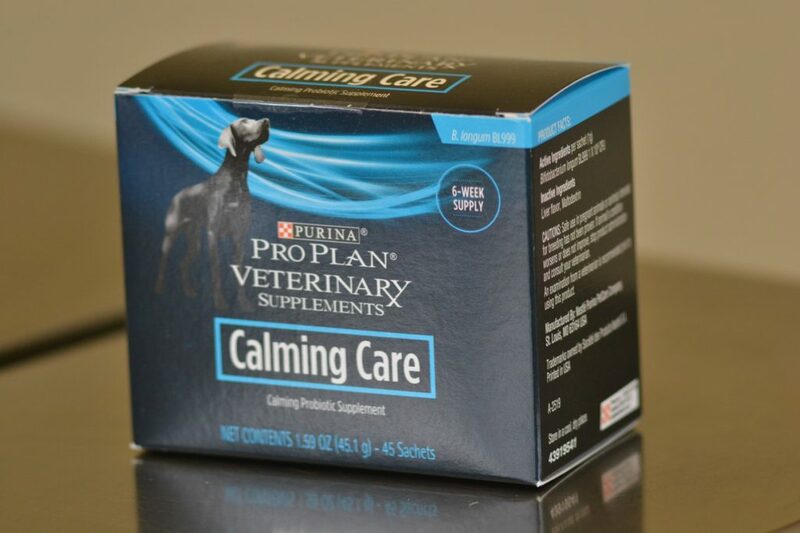 Purina Calming Care is a probiotic that has been shown to help dogs maintain calm behavior. It comes in the form of a highly palatable powder that is added to the food. It helps dogs achieve a positive emotional state. Calming Care helps dogs cope with external stressors like separation, unfamiliar visitors, novel sounds, or changes in routine and location.